Thanks Tony, and we thoroughly enjoy selecting from your wide range of timber products...always successful! 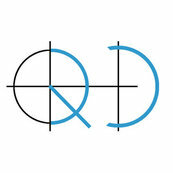 I had the pleasure of working with Quadrant Design for nearly three years. Thanks Penny, and you were a pleasure to work with....humour, intelligence & happy clients. I was part of the team at Quadrant Design Architects for a couple of years and very much enjoyed it. Hi Imke, thank you, and we enjoyed every moment of your creative approach to the world. What a fabulously enjoyable process!